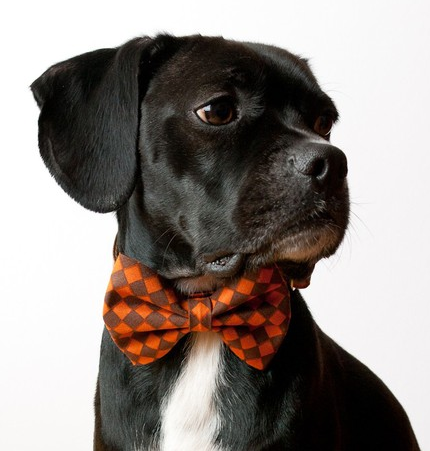 I don’t know about you, but I do NOT enjoy Halloween. It is far too scary for me. So I like to keep my decorating and and crafts on the cute side. 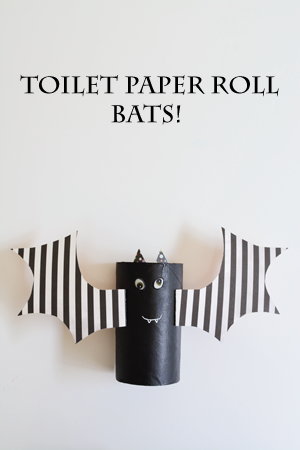 These toilet paper roll bats can be made as decor for around your home or as a fun activity for kids. 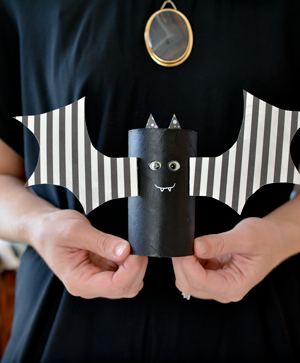 The bats are super easy to make. Just start saving your empty toilet paper rolls and be on the lookout for some super-cute scrapbook paper. Then you just need a little black craft paint, some glue (I think Glue Dots work best!) 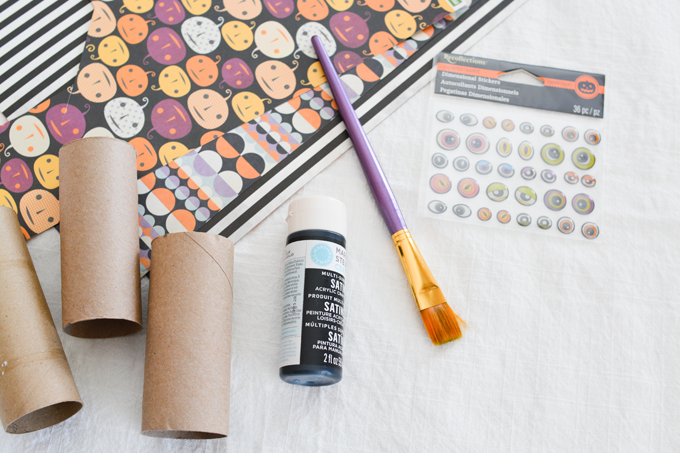 and eye stickers — or you can just draw them on with a white paint pen which you will also need to draw on the mouth. 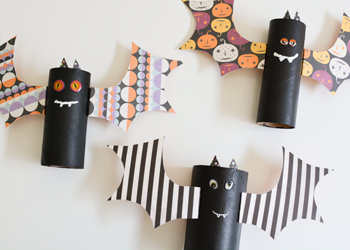 If you are making these for a party activity or are mess-averse like I am, feel free to paint the empty toilet paper rolls black ahead of time. Otherwise, you can have each kid paint their own but you will need to allow for drying time. I used double-sided paper for the bat wings so that they looked extra cute from all directions. 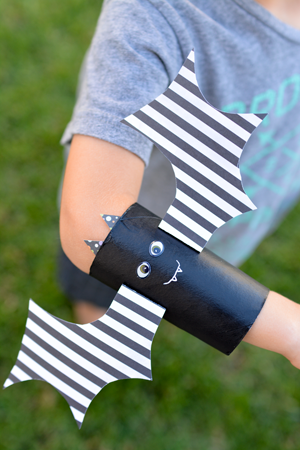 I made these bats to be worn on your kid’s wrist so they can make the bats fly by running around. I do not free hand well so I looked online for a shape of bat wings that I liked. I loved the look of these found on MerMag and just shrunk them down to fit the rolls (and then I found the ones that actually fit a toilet paper roll, duh!). I printed them on card stock and cut that out as a template. Next, I folded a small flap at the end of the wing. 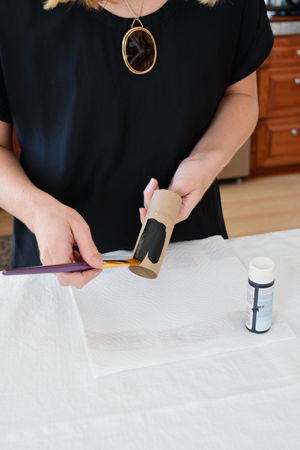 This is where you will put your glue dots so that you can stick them to the toilet paper roll body. Add the wings on both sides, add little bat ears (just cut small triangles of scrap paper!) and then create a super-cute face for your bat. I picked papers that coordinated with each other and when I misplaced my paint pen, I used a white-out correction pen to paint on the mouths. 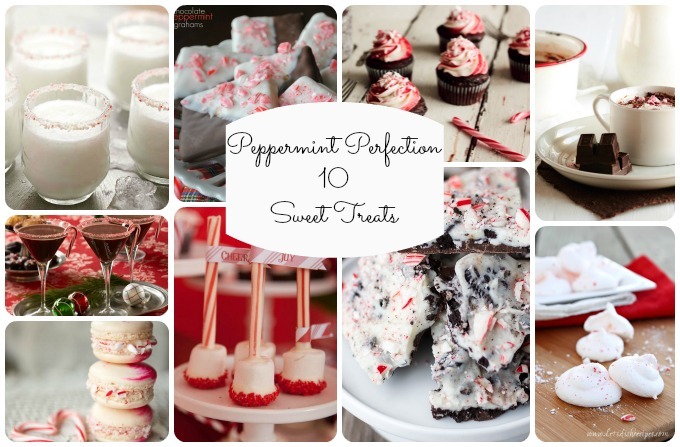 There really is no wrong way to make these! Cut a slit from the bottom to the top of the roll up the back if you are making them for your kids to wear. 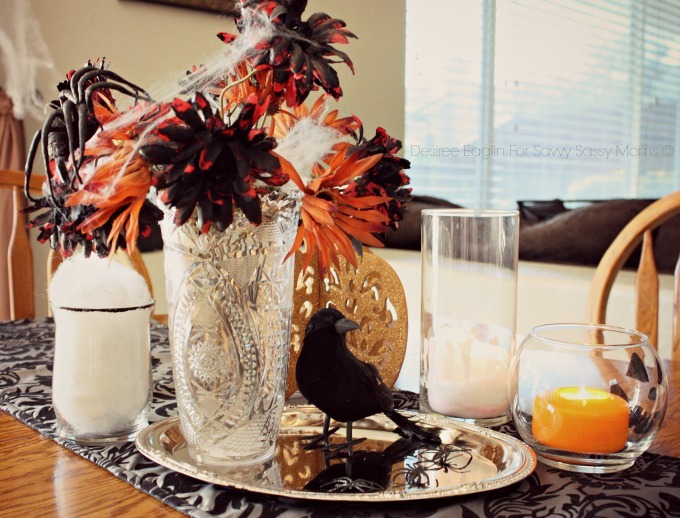 If you are using them as decor, tuck them into your Halloween vignettes and watch all the kids flock to them! 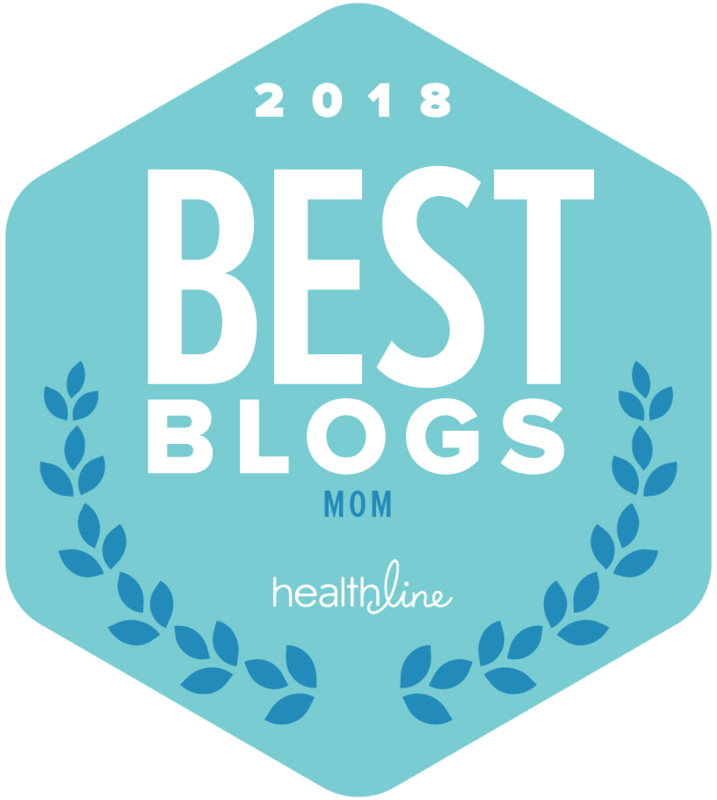 Your kids will love these! They fit easily over their wrists and when they run around, the bat wings flap up and down and they can fly them all over the yard. These would be really fun to do with a preschool playgroup or even older kids who like to get creative with their decorating. These are super cute! 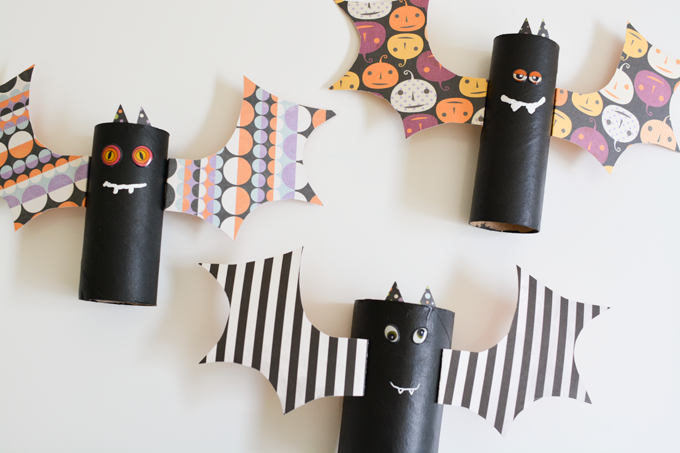 My kids are always saving paper towel rolls for projects, so we will have to cut some down and make these bats! We could add hole punches on the sides and string them together for a fun garland!